A bilevel (or bi-level) house is a one-storey house much like a raised bungalow, but spun around 180 degress. The front door opens onto a landing that leads both up stairs to the main floor or down stairs to the basement. The entrance of a bilevel is at grade (right at ground level) and the back door is above grade and leads to a high landing with steps or a rear deck. The number of stairs going up and number of stairs going down need to be roughly equal. This means that the house must be raised out of the ground a significant amount to make it a bilevel. You come in through the front door at ground level. That is you don’t climb more than one step to get into the front door. When you enter the house, you are arrive at a landing with an immediate choice to go up the stairs to the living area or down the stairs into the basement. 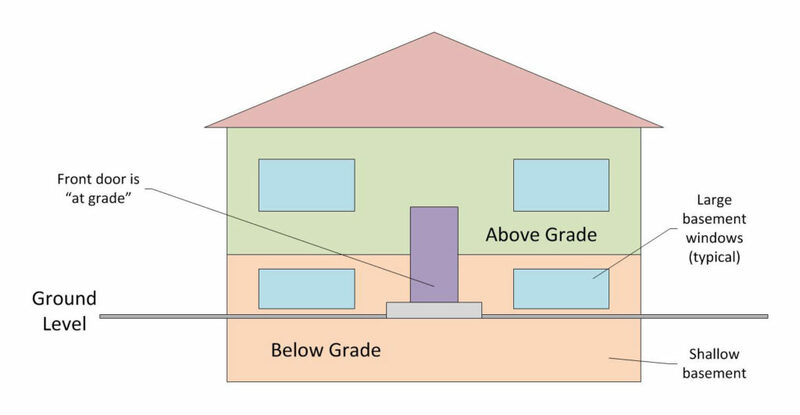 A bilevel has only one floor above grade. A drawing of a bilevel from the exterior front. Large windows in the basement, an entry door at grade level and a shallow basement are the hallmarks of a bilevel. The general format of a bilevel is identical to a raised bungalow (a bungalow that is set higher out of the ground than normally) but also the orientation must be flipped around. That way, what you would consider the back door in a bungalow is now the front door. Bilevels are not super common in Edmonton. For example: of the all the houses sold in 2018, only 6.4% were bilevel homes. An advantage to having a more shallow basement is if the water table is high, the slab may remain drier than if the basement were deeper. A bilevel may not be suitable in some colder climates because a basement must extend below the frost line. Notice how in the above photo that the front entry is at street level and how the basement windows are fully above grade. 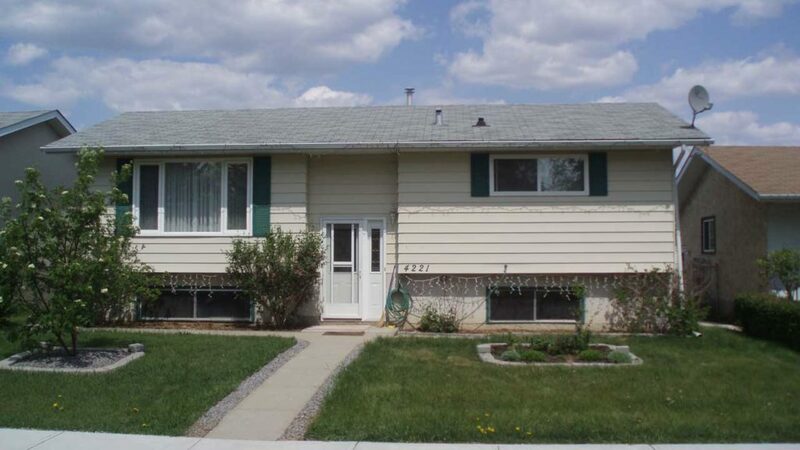 Bilevels were quite popular in the 1970s and they are still pretty desirable homes in Edmonton today. They have the advantages that bungalows have in a lot of respects, but they are also higher out of the ground which means that there are taller windows in the basement. Big windows means more sunlight. This can make a basement feel much less like a basement. Bilevels also have an informal feel because the back door has become the front. When you enter a bilevel you are right inside the house.